This stunning pear shaped engagement ring features 26 sparkling white diamonds set around a 7x5mm pear shaped Sapphire gemstone.Set in 14k White Gold. Available in 14k White, Yellow, or Rose Gold. This stunning pink sapphire is beautifully cut into a pear shape. Featuring 29 sparkling white diamonds(.24cts) surrounding the sapphire. Set in 14k White Gold. 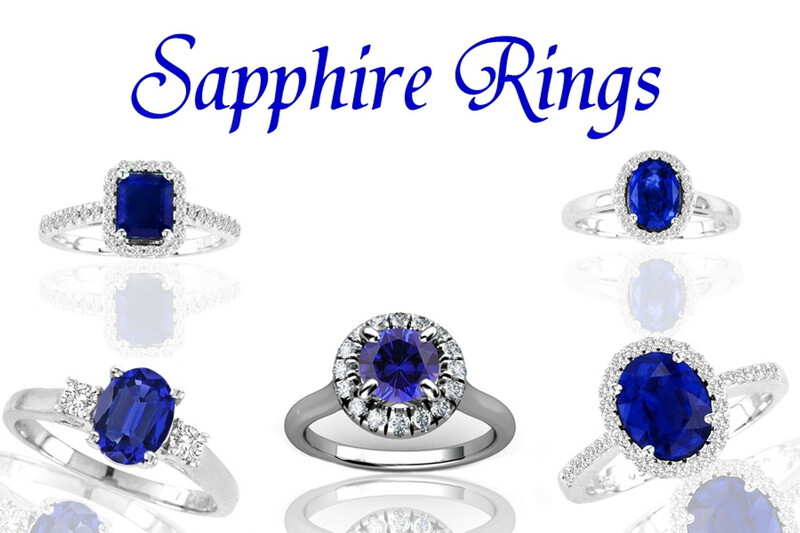 This Sapphire and Diamond ring features an Oval Sapphire Gemstone surrounded with 34 brilliant-cut white diamonds in a 14k White Gold setting.